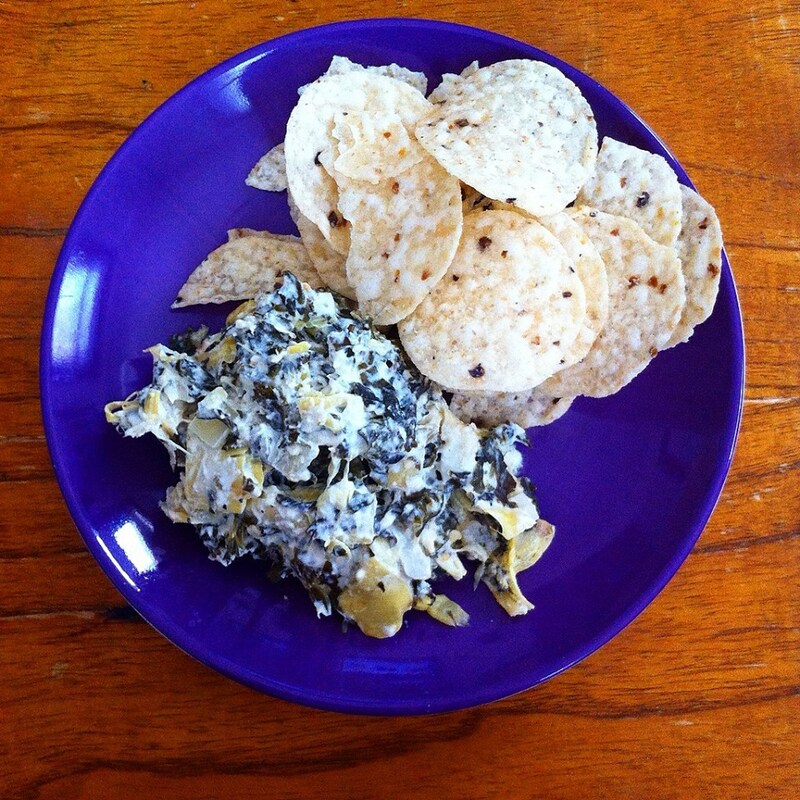 Spinach Artichoke Dip and Shrimp Dip! I just had some of my girlfriends over to catch up after not seeing them for a couple weeks. Of course, I want to be a good host and put out a spread! I went to the grocery store and bought fruit, salad, stuff to make pizza and of course the ingredients to make my favorite shrimp dip and spin dip! It’s great for sharing with friends and gab the night away, so why not share it with you! 1. Thaw frozen spinach the night before and squeeze all of the excess water out before adding to the slow cooker. 2. Drain the water from the cans of artichoke hearts and roughly chop before adding. 3. Dice the small onion and cut the cream cheese into cubes. Add. 4. Add the sour cream, cheese and spices last to the slow cooker. 5. Incorporate the ingredients with a rubber spatula. Turn the slow cooker on high and stir occasionally over the next two hours until the cheese is bubbling and everything is hot! 1. Open one can of shrimp and drain the juice. Add the shrimp to the bowl and mash with a fork to break them apart. 2. 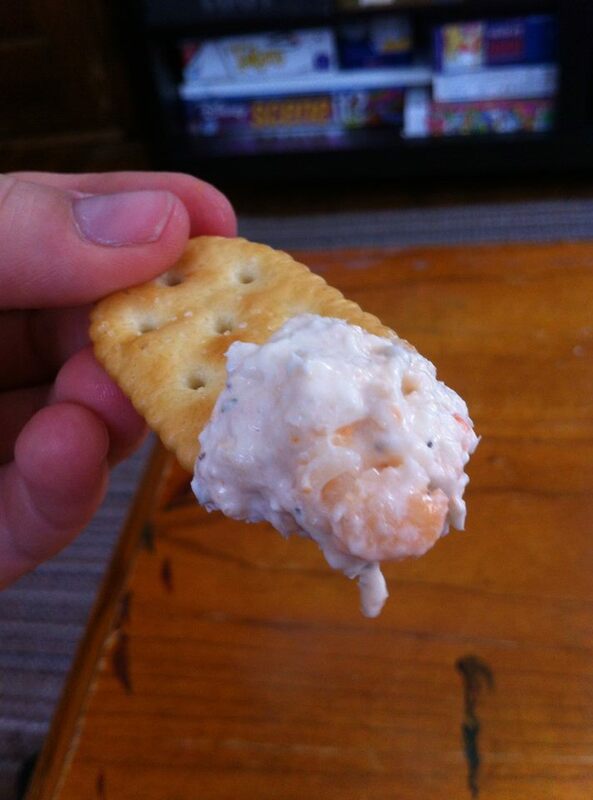 Cube the cream cheese, measure the mayonnaise and add to the bowl with the shrimp. Fully incorporate with a fork. 3. Squeeze 1/2 a lemon into the mixture and add the spices to taste. Continue mixing until homogenous. 4. Using the last can of shrimp, add a tablespoon of juice at a time until it makes a smoothy consistency and not chunky. 5. Drain the rest of the juice and add the shrimp. Incorporate with a rubber spatula to keep some of the shrimps intact! 6. Refrigerate until cold and enjoy! I usually like to eat these with pretzels, an assortment of crackers and carrots! Yummy! What are your go-to recipes for small parties? What are the fan favorites? On Tuesday, I exploit a story about how my Tinder account caused the most awkward interaction of my life. You won’t want to miss it; it’s full of twists and turns! Have a great weekend and enjoy all of your snacks!